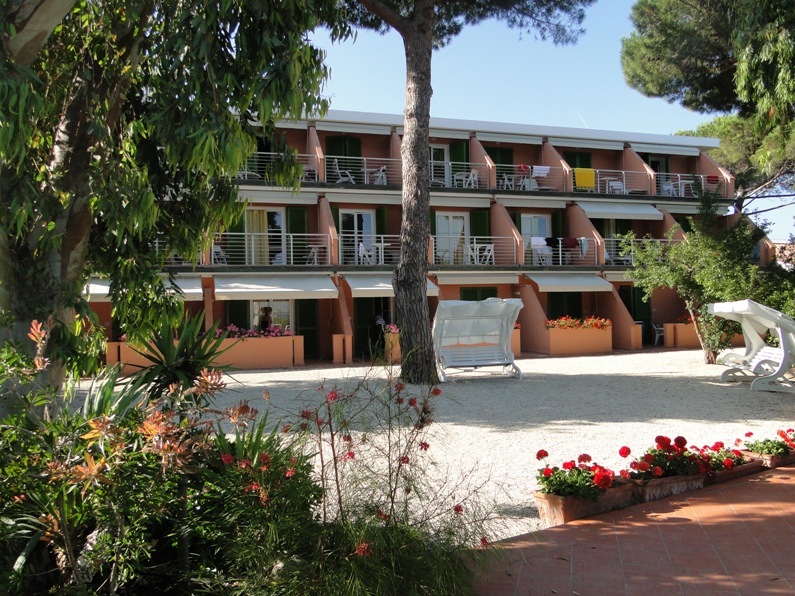 Our rooms are located in a quiet and peaceful garden a few steps from the swimming pool with Jacuzzi, as well as the solarium with magnificent sea views. All rooms have a balcony and are equipped with air conditioning, minibar, safe, satellite Tv and free wi-fi. Our fresh water swimming pool offers stunning views across Portoferraio bay. A Jacuzzi tub is at guests’ disposal. Sunbeds and umbrellas are included in the room rates. Pool towels are available on request. Our private beach is at guests’ disposal from June to September. Far from noise and never crowded it offers you absolute relax. Umbrellas and sunbeds are included in the room rates. Reservation is not needed. Kayaks are available for hire and inflatable kid toys on request. Beach towels available at the reception desk. 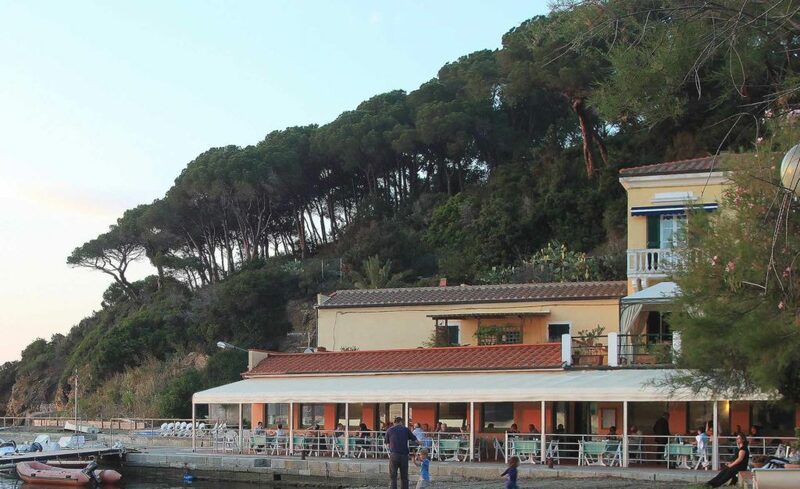 Enjoy the great view of Portoferraio bay at lunch or a gorgeous sunset at dinner. Restaurant “Mare” has an air-conditioned main dining room with panoramic windows and an outside terrace that overlooks the marina. Fish prevails in the a la carte menu together with some meat and vegetarian dishes. Pizza is served at dinner. Reservation is required at dinner for non-resident guests.